Team Sunweb has announced the arrival of Franziska Koch for the Women's program for this summer. The German rider joins from the club Team Watersley. The 18-year-old won the 2017 junior national road title in her first year in the category and also took the third place in the time trial. The rider is also a mountain bike rider and she also got a junior national championship title in that discipline. 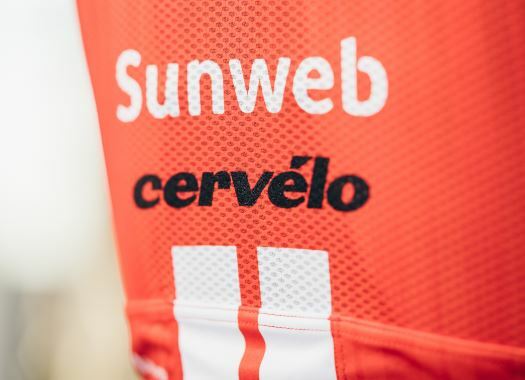 "It’s such a great honour to join up with an outfit like Team Sunweb," Koch commented. "They’re known for being a good place to develop as a rider and learn a lot of skills. I really look forward to the chance to grow as a rider step-by-step, in the strong team set-up that they have there, to hopefully become a world-class cyclist in the future." The rider already showed some of her skills earlier in the year when she made an attack at the Omloop van het Hageland, which allowed her to ride by herself for 30 kilometres before getting caught with 20 kilometres to go. "Franziska is one of the biggest German talents of her generation; with her three national titles in different disciplines highlighting this," said Sunweb coach Hans Timmermans. "When she broke her ankle at the end of 2018, we planned for her to join the team later this season so she didn’t feel any need to rush her recovery. At our training camps in the winter, she was already performing at a high level and I’m sure she’ll be able to show her talents for us later this season."